I was chatting to a friend over the weekend and she told me she recently read an interesting article about raising girls. The article pointed out that when a young girl is showing signs of being pioneering or dominant or even simply independent, she is called ‘bossy’, whereas when a boy acts in the same way, he is applauded for being a leader. The article highlighted the discrepancy between the way we (or society in general) raise boys versus girls. When we call a girl ‘bossy’, she is discouraged from becoming a leader, whereas boys are naturally encouraged. And of course we all know the effect that has on girls later on in their life with their career path. Interesting, right? 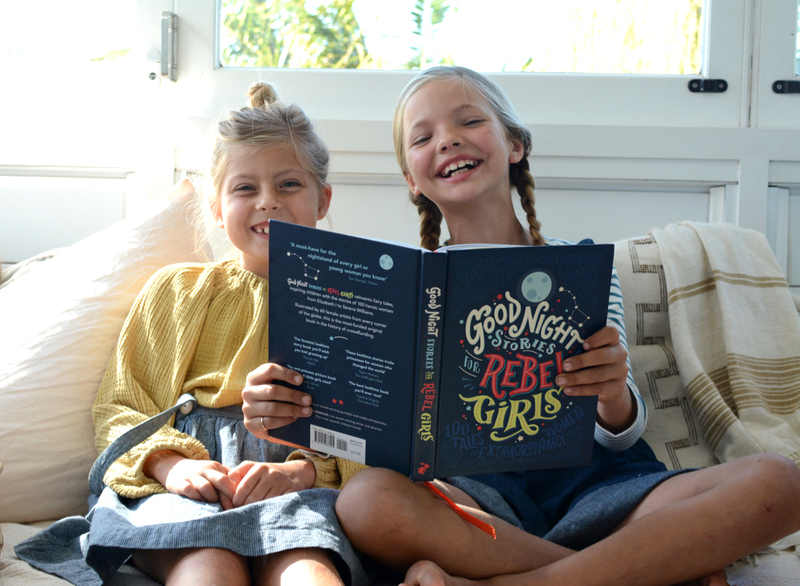 Our discussion reminded me of a book I bought a couple months ago called Good Night Stories for Rebel Girls . 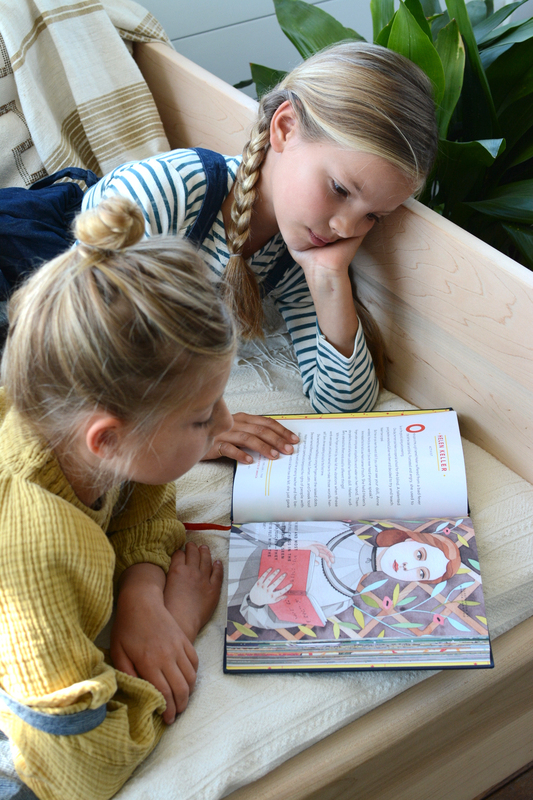 The book features 100 heroic women from every corner of the globe. Each page is devoted to a different woman’s story from Catherine the Great to Serena Williams, Amelia Earhart to Rosa Parks, highlighting their story of overcoming obstacles and going on to change the world. 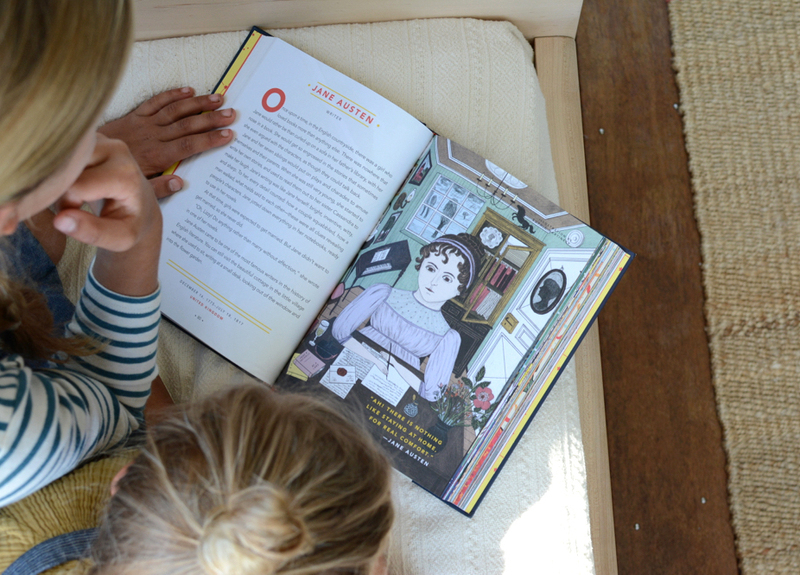 Accompanying each woman’s story is a beautiful, illustrated portrait by different female artists from around the world, and at the end of the book, there is a page to write your own story and draw your own portrait. The dedication page reads, “To the rebel girls of the world: Dream bigger, Aim higher, Fight harder, And, when in doubt, remember you are right.” I bought this book for my girls — to inspire them with stories of ‘rebel’ women, but the truth is that all of my kids have enjoyed reading this book, even the boys. I think it’s so important that even the boys understand that beauty manifests itself in all shapes and colours, and that gender does not define how big you can dream or how hard you can fight. Girls have just as much potential as boys to become a leader and change the world. 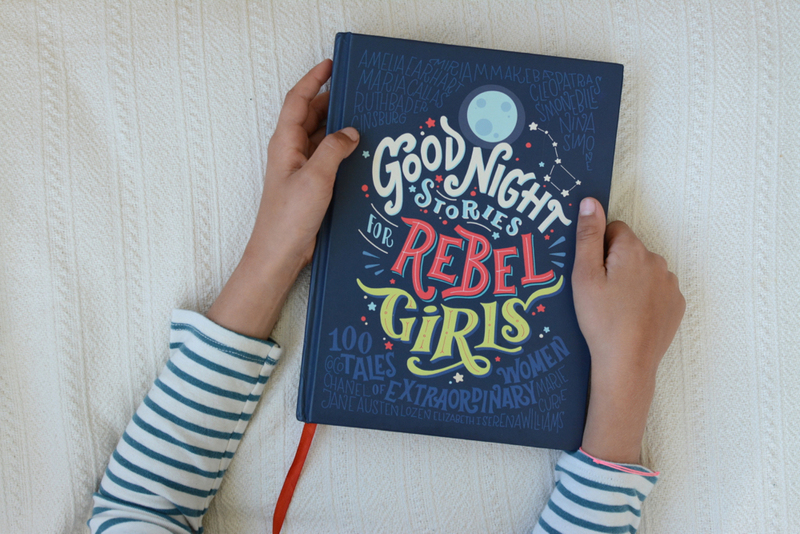 Good Night Stories for Rebel Girls can be found in local bookstores (I even found it here in my little town! ), and of course on Amazon (US and UK). Nice book. Thanks for sharing! 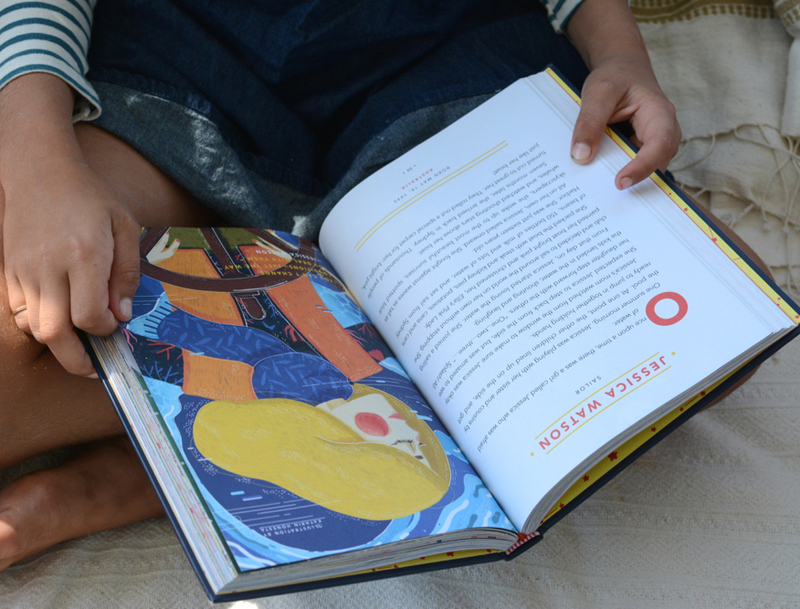 All my kids and I are reading this together, a page a day and loving it… just fabulous!!! Our favorites so far are the Cholita Climbers… just epic!!! Could you suggest what age this might be suitable for? I am looking for a gift for a nine year old girl and think this sounds great but my children are preschool age so I don’t always know what an older child might be into or think too childish. Thanks. My daughter is 8, and I just recently gifted this to my niece who is 10. So I think it would make a wonderful gift for a 9-year-old. This is a great book, but I am struggeling with its title. Why is this book intended to be interesting only for ‘rebel girls’. I think it might be as interesting for my son.